Congratulations to the Winners of the Cohon Award. Take some time to read about these amazing people below! Phyllis Folb of Los Angeles, founder and director of America Israel Gap Year, the Educational adventure which provides high school graduates a year in Israel, to study their heritage and experience the Jewish state and its people before they decide about college. Expanding her program now, and making it available to graduates of public high schools as well as Jewish day schools, she enables young people at their most vulnerable age to strengthen their identity. As one Gap Year student expressed it, “Now I feel comfortable in my own skin”. 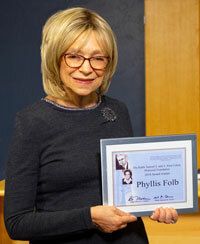 To see the video of the Phyllis Folb discussing her life and contrbution click on the link here. 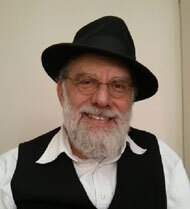 Joseph Gitler, an American-born oleh now lliving in Raanana, Israel, founder and director of Leket Israel, the program that collects leftover food and delivers it to hungry people throughout Eretz Yisrael, a truly vital Rescue mission. Observing the widespread plight of the poor, he approaches restaurants, caterers, farmers and others who sell meals to their customers, and with their cooperation he has trucks to pick up the leftover food they would otherwise throw away, and bring it to those who badly need it. After 16 years of building this activity, Gitler is proud of the Israeli reaction to his work. Not what he might expect from similar business interests in America, but eager to see this disposable food put to good use. 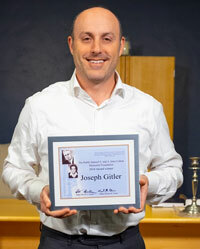 To see the video of the Joseph Gitler inteview after receiving the Cohon Award click on the link here. John and Amy Pregulman of Memphis, founders of Kavod, the Rescue program that brings essential support to needy Holocaust survivors throughout the U.S.A. Their service started as an unexpected result of a photo project when John took pictures of a number of survivors, something he still does and in fact photographed a large number of them on the weekend when he and Amy received their award in Tucson, Arizona. Of the thousands of survivors living in this country now, about half of them are struggling with poverty. The Pregulmans work with Jewish communities throughout the country to alleviate this suffering through their aptly named service, Kavod (“Honor”). 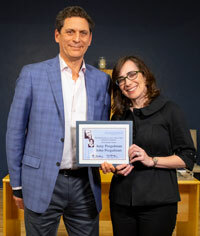 To see the video of the interview of Amy and John Pregulman after receiving the Cohon Award click on the link here. 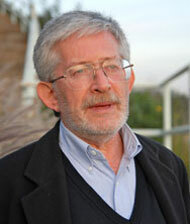 Phil Blazer, a leading voice for Jewish activism and a pioneer in Jewish media. 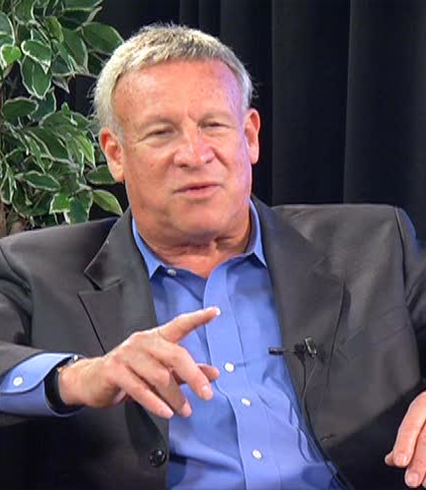 Phil Blazer is at the forefront of events important to Jews throughout the world. He was on the tarmac at Ben Gurion Airport to witness the arrival of Egyptian President Anwar Sadat and at the signing of the Israel-Egypt peace treaty at the White House in 1979. He spearheaded Operation Joshua, the rescue of hundreds of Ethiopian Jews in 1985 -- a rescue that still goes on despite all obstacles. 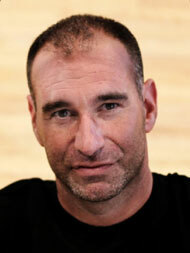 Phil is a founder and CEO of Jewish Life Television (JLTV), the only 24/7 nationwide Jewish-themed television network. Phil's work gives our community a voice, and brings our voices to the world. 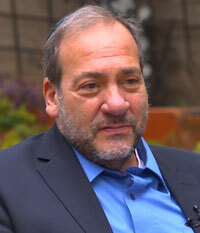 Rabbi Yechiel Eckstein, founder and president of the International Federation of Christians and Jews, wins in the area of Rescue. Indeed, with the backing of many church groups and other Christian friends, he and his organization help countless Jews -- including families of Holocaust survivors -- rescuing them from hunger and oppression in places like the Ukraine, and bringing them to sustenance and freedom in Israel. While his home office is in Chicago, Rabbi Eckstein's federation has branches in Brazil, Korea, and places where Jews are in danger throughout the world. To watch the award ceremony, click here. Tammi Rossman-Benjamin is a faculty member at the University of California in Santa Cruz, where she co-founded AMCHA Initiative, an organization that brings together members and supporters of the Jewish community to address the growing problem of campus anti-Semitism. She wins in the field of Unity. Her work created a united front, which was a major influence in the U.C. Regents' decision to stand firm and pass a unanimous Statement Against Intolerance that condemned "anti-Semitism and anti-Semitic forms of anti-Zionism" as "having no place at the University of California." She continues her work by training and activating groups across the country to carry out similar campaigns. To watch her award ceremony, click here. Rabbi Abraham Cooper - an ordained Orthodox rabbi, he champions the rights of all Jews, from the most secular to the most observant. He was an active leader in the Soviet Jewry movement, and proceeded to spend some 30 years working directly with Simon Wiesenthal who was probably the most influential and famous Holocaust survivor. Together with Rabbi Marvin Hier, he established the Simon Wiesenthal Center, and designed and built the Museum of Tolerance in Los Angeles. Now he is building one in Jerusalem. As Associate Dean of the Center, his work takes him to the Middle East where he negotiated directly with two kings of Jordan and several other heads of state, also to Europe, East Asia, South America, Africa and Australia. He frequently represents the Jewish people at the UN. He educates and informs thousands of school children and adults through the programs of the Museum. 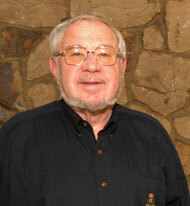 To view his receipt of the Cohon Award at Temple Emanu-el of Tucson click here. 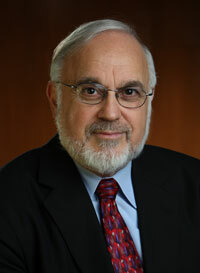 Rabbi Abraham Cooper - won the 2015 Cohon Award in acknowledgement of his outstanding service to Klal Yisrael. Jonathan Ornstein - Founding executive director of the Jewish Community Center of Krakow, Poland. Originally from New York, he made Aliya after college, served in the Israel Defense Forces for 2 years, then moved to Poland, home of his ancestors. There in Krakow he found his mission: to rebuild this historic community. His open pluralistic JCC welcomes everyone, regardless of mixed parentage or local politics, and provides them with courses in Judaism, Hebrew, and a host of secular and religious subjects, as well as weekly Shabat dinners with guests joining them from all over the world. Rabbi Benji Levene - Vice President and Educational Director of Gesher, the heroic group that brings together religious and secular Israelis in a common cause. A highlight of his work is his one-man show “The Four Faces of Israel” which transforms the theater into a safe space for discussion and healing. Healing is his goal. He eases his audience into seeing beyond stereotypes to build mutual respect and unity between Jews. His 35 years of success in this work, he considers just a beginning. Past awards in this field honored those who saved Jewish lives from the violent attacks of hostile governments, terrorists and warring revolutionaries. These awards recognize a different kind of rescue: Rescue from dangers within. Harriet Rossetto uses Jewish faith to rescue many hundreds of people from the dangers of addiction, dependency and crime. Click here to see her moving interview and the award ceremony. Kinneret Shiryon - first female rabbi to receive a synagogue building from the Israeli government, who takes people of all ages facing danger from within -- from empty pockets to empty souls -- and brings them Jewish strength and healing and joy. Click here to see her interview and award ceremony. 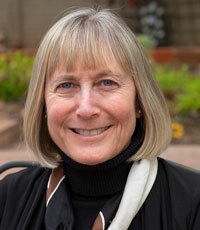 Harriet Rossetto - Founder and CEO of Beit T'Shuvah, the House of Return. 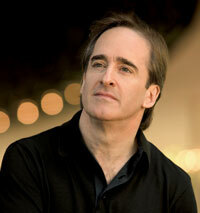 The 2012 Cohon Award winner, in the Creative Arts field, is Maestro James Conlon. 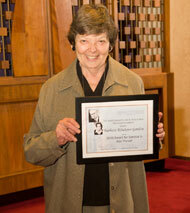 This award was presented at the Illinois Holocaust Museum in Skokie, IL. To see the award ceremony, click here. Seated next to Maestro Conlon is Robert Elias, President of the OREL Foundation, established to encourage interest in, and performance of, works silenced by Nazi Germany, as the maestro does so impressively. The video was produced by Jonathan Cohon. 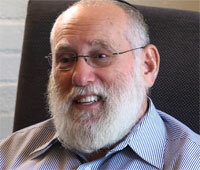 Rabbi Kravitz arrived in Los Angeles during the '70s and observed a situation that challenged him. Young Jews who searched for meaning were getting involved with missionary and cult groups. Their families frequently were in crisis about this. He began working with them, developing an approach that succeeded in reuniting these straying individuals with their heritage and their identity. In the process, he organized Jews for Judaism, and since then he has brought more than 1,000 Jews "home." Now his organization functions in places throughout the world, and he has important plans for the future. He received his award for Unity at Temple EmanuEl of Tucson, certainly not the first Reform congregation where this Orthodox rabbi has spoken. And he regaled the Shabat attendance with a few stories about his experiences in his sacred work. Barbara won over other highly qualified candidates because of her truly remarkable service to Klal Yisrael, the total Jewish people. She led the Rescue of Ethiopian Jewry which relocated 120,000 people from the poverty and oppression of Ethiopia to freedom in Israel, and continues to rescue their children and their culture helping them become valuable citizens of Israel. Click HERE to Watch a Video with Interviews and Award Ceremony Footage! 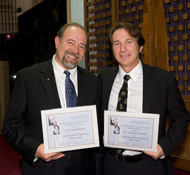 Syd Mandelbaum of Long Island and Dr. Michael Hammer of Arizona. Together they are using their scientific discoveries to help Klal Yisrael, the entire Jewish people. Their field is human genetics, specifically DNA. They created the DNA Shoah project, to re-unite families torn apart by the Holocaust. Mr. Mandelbaum is the son of two survivors. His own grandfather disappeared from a slave labor camp and was never found. Other families were similarly fractured. Now our winners urge those who seek to find the missing, to add their own DNA's to the file. A match could still happen! Go to their website, www.dnashoah.org and learn the details. Educational Center in Jerusalem, for education, seen here accepting his award at the opening night of the Sephardic Film Festival at Paramount Studios, Hollywood. 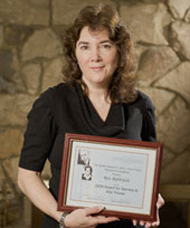 Rox is a founder of the StandWithUs organization, for unity, she received her award at Temple EmanuEl of Tucson, Arizona, headquarters of the Cohon Memorial Foundation. 2007 - Ivan Ceresnjes of Jerusalem for both rescue and education. As president of the Jewish Community of Sarajevo during the Balkan War in the '90s, he saved 3,000 lives – Jewish and non-Jewish – leading them through the guardposts of three enemy forces. As a result of his work, his community maintained good relations with their Christian and Muslim neighbors. An architect by profession, now living in Israel with his wife and family, he continues his service by documenting the architectural heritage of Eastern European Jewry for the Hebrew University. Si Frumkin of Los Angeles & Glenn Richter of New York City for rescue. With his co-winner Glenn Richter (not pictured) Si led the Soviet Jewry movement in the United States, influencing the Jackson Vanik Amendment which facilitated the rescue of nearly a million Russian Jews from Soviet oppression and danger to safety in the United States and Israel. 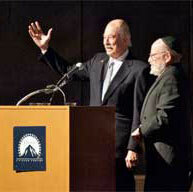 Himself a Dachau survivor, Si received his award at the Simon Wiesenthal Center in Los Angeles. Sadly for us all, he received his eternal reward in 2009. 2005 - Henry Sapoznik of New York City for creative arts. Highly instrumental (in more ways than one) in the Klezmer revival, he brought the joy of Klezmer music to a new generation. 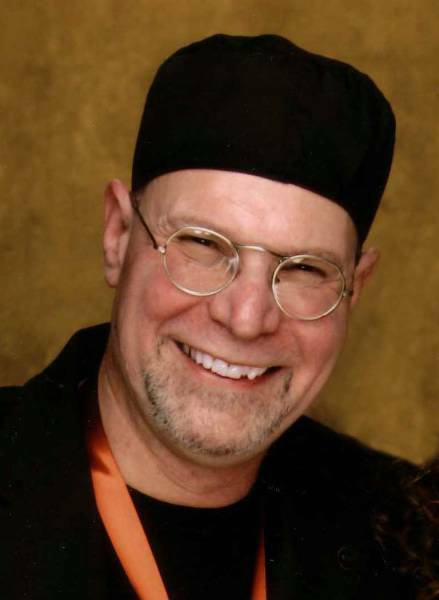 He continues his service with his ongoing KlezKamp program, acquainting American Jewish youth with Yiddish music and culture and Jewish tradition. Hank received his award at a Cantors Assembly convention in the Catskills. 2003 - The Koppel Family of Cleveland, Ohio, in the field of education and information. Independently, these fine people produce a regular reference list of worldwide Jewish publications. For nearly half a century now, their work is an indispensible asset to anyone working in the Jewish field. They received their award at their congregation in Cleveland, Ohio.